The Weald CofE Primary School took a Year 5 and Year 6 team to the Athletics meet at Pixham yesterday. On a hot and muggy evening the events were always going to be very challenging for all competing. There were many different events including long distance races, middle distance and short distance. We finished with three 1st place finishes, four 2nd place finish and 7 3rd place finishes in all the events. Up against a high number of county representative runners and top-end club level runners - our children performed with character, determination and not to mention a lot of fun. Our Year 6 boys came third overall which was a monumental effort, and overall The Weald came 5th. It was a fantastic achievement - if it had been track events alone we would have finished 3rd - which just goes to show how well the children performed. Standout performances on the night must get a mention. Mason picked up Gold in the 150m and the 75m, Johnny picked up Gold in the 600m, Annabel took the silver in the 150m and bronze in the 600m. Year 6 boys got silver in the 4x100m relay, Georgie won silver in the Year 5 600m, Izzy won Bronze in the 60m and Ella won Silver in the girls 600m. All the children performed to a fantastic level and never showed any sign of quitting when the going got tough. The fact they showed resilience in hard times speaks volumes of the character of all the children, so a huge well done to all involved. We should all be incredibly proud of the children that represent our school and show confidence, determination and a desire to always improve and be the best they can. 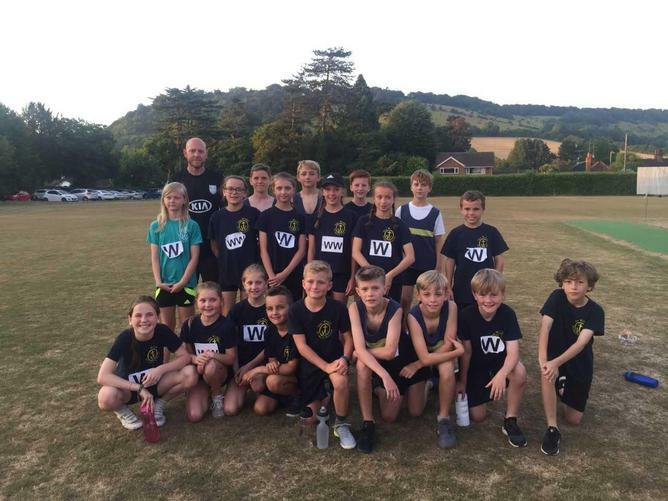 I for one will be sad to see this current year 6 leave as I have taught them from Year 2 and in that time they have had a lot of sporting success with the Weald school. The staff are all incredibly proud of each and every one of them. A special mention must go the parents who attended and supported. As usual, without that support children find sport incredibly challenging, so thank you. Now, we look forward to September and the new sporting calendar where we have football titles to defend.